While not on the “A-List” of most travelers, for the adventuresome client, Senegal is worthy of consideration. 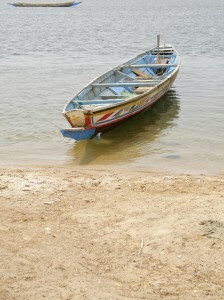 Not a tourism mecca, a unique and relaxing way to get to know this West African nation is by boat. Variety Cruises operates the M/V Pegasus with a start in Dakar and traveling along the coast and up the Gambia River . Senegal, 76,000 square miles is located in the westernmost part of the African continent. It is bordered on the west by the Atlantic Ocean, on the north by Mauritania, on the east by Mali and on the south by Bissau Guinea and the Republic of Guinea. Senegal has the infrastructure for a blooming tourism industry and it is quietly developing the program. Hint: send your clients now before it is discovered. Readily reached, it is only a few hours away from major African tourist markets; five hours away from western Europe and about seven hours away from the east coast of the United States. 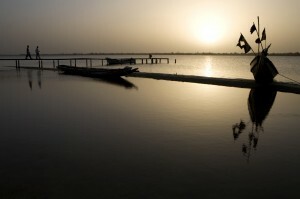 Senegal is a sunny country claiming more than 250 days of sunshine each year! All forms of vacations can be experienced in Senegal from seaside resorts to cultural tourism to bird watching to sporting events to eco-tourism, and river cruising. Nature plays a large role as well with many natural sites, six major game parks and reserves and some very unique flora and fauna. 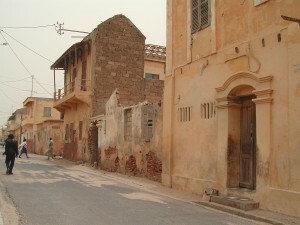 Despite various influences (western influence due to a long French presence in West Africa, middle eastern influence due to a tradition of multiple exchanges with North Africa and Arab countries), Senegal has its own brand of exotic music, food and customs that gives it a one of a kind flavor. the rainy season (May to November) has some strong southeast winds. the dry season (December to April) is dominated by hot, dry, humid winds. Senegal is home to some of the most photographed beaches in the world and the reefs and cays of the coast are a haven for divers looking for something different and unique. Dakar, the capital city, is also one of the busiest ports in Africa and boasts an exciting restaurant and club scene, as well as duty-free shopping.